The HEPAHEALTH Project Report, produced by the European Association for the Study of the Liver (EASL), is the second overview commissioned by EASL on the burden of liver disease in Europe. The report encompasses 35 countries in total: the EU region, Iceland, Kazakhstan, Norway, Russia, Serbia, Switzerland, and Uzbekistan. The report, published in April 2018, aims to identify the latest epidemiological burden of liver disease in the wider European region; presents data on the main risk factors for liver disease; and, carries out a review of reviews on public health interventions. Viral hepatitis is inflammation of the liver caused by a viral infection. There are five main types of hepatitis viruses: Hepatitis A, B, C, D and E viruses. While Hepatitis A and E are usually contracted by consuming food or water contaminated with the virus, Hepatitis B, C and D are transmitted through contact with infected blood or other bodily fluids. Hepatitis B and C can also be transmitted through sexual contact or passed from mother to child. Although the five hepatitis viruses and their impact on the human body differ, all can pose a threat to the health of the liver. According to the Hepahealth Report, alcohol is the most important risk factor for cirrhosis and other chronic liver diseases in most of Western Europe. 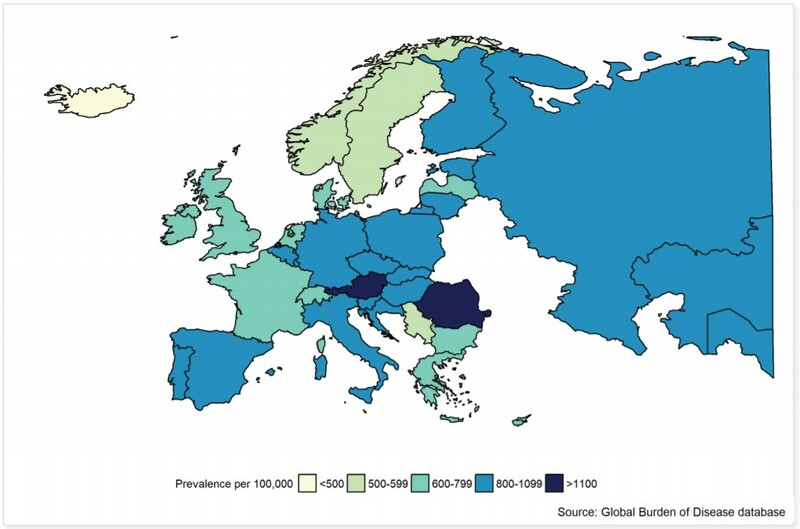 However, in Central Europe, viral hepatitis and alcohol contribute almost equally to the burden of liver disease. Authors of the report noted a proportional shift when they examined countries further east, such as Croatia and Slovenia. 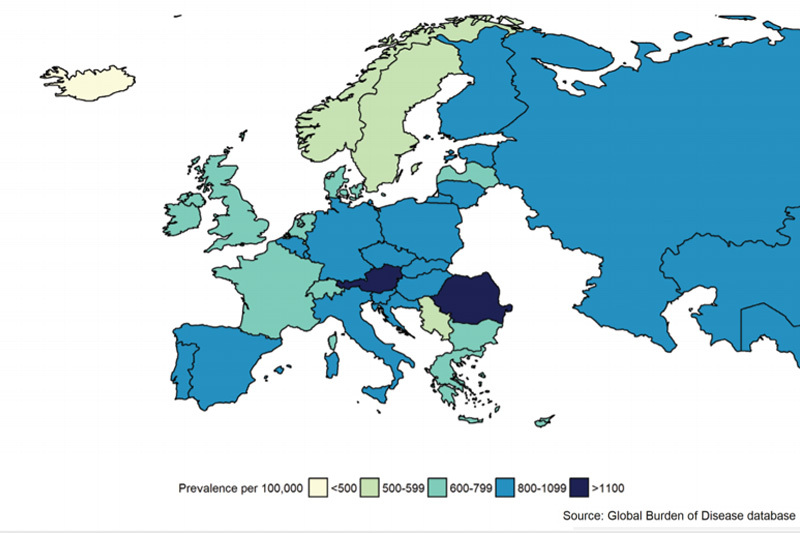 The report revealed that viral hepatitis B and C were the main determinants of disease “for all ages and genders when considering countries further east.” In addition to Eastern European countries, viral hepatitis was also determined to be a contributor to total liver disease particularly in Austria, Hungary, Italy, Latvia, and Spain.